Mexican Independence Day is celebrated on September 16. It commemorates the Grito de Dolores (Cry of Dolores) of 1810, which sparked the Mexican War of Independence. 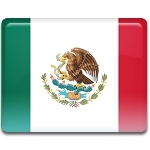 Independence Day is one of the five patriotic holidays (Fiestas Patrias) in Mexico. On September 16, 1810, Roman Catholic priest Miguel Hidalgo y Costilla rang the bell, gathering his congregation in the small town of Dolores, and addressed the people in front of the church, encouraging them to revolt against the Spanish colonial authorities. This address became known as the Grito de Dolores. Although Mexico officially gained dependence in 1821, after eleven years of war, it is the anniversary of the Grito de Dolores that is marked as Mexican Independence Day. Its celebration begins around 11 p.m. on September 15 with a ceremony at the National Palace in Mexico City. The President of Mexico rings the bell and addresses the crowd with the Grito Mexicano, a shout of patriotism based on the Cry of Dolores. Then he waves the national flag, and the attendees sing the national anthem. Independence Day is marked with the September 16 military parade held in Mexico City, patriotic programs, open-air performances etc. Similar celebrations take place in cities and towns all over the country.